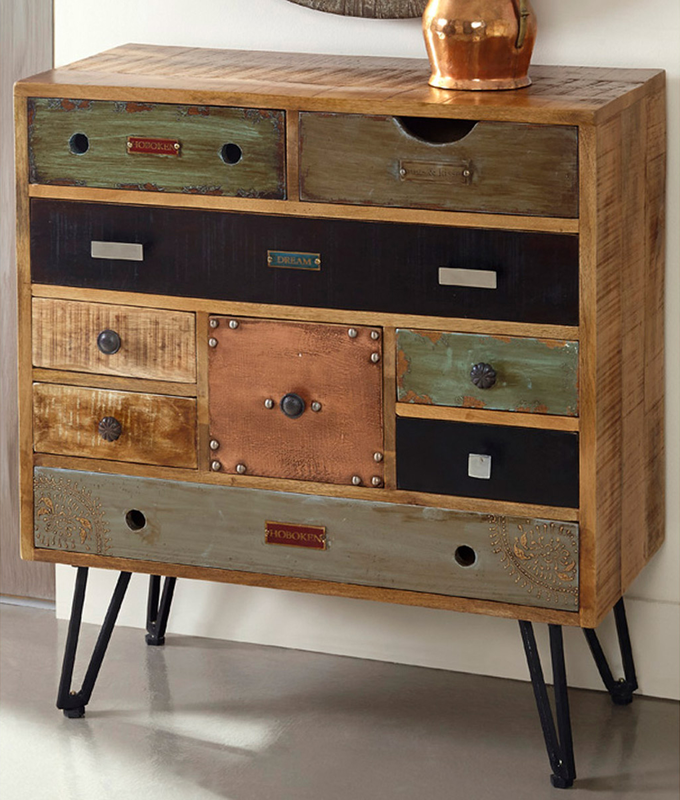 The multicolor mango finish of the Distressed Nine Drawer Chest is unpredictable. Each of the drawers has a different shape, color and texture. 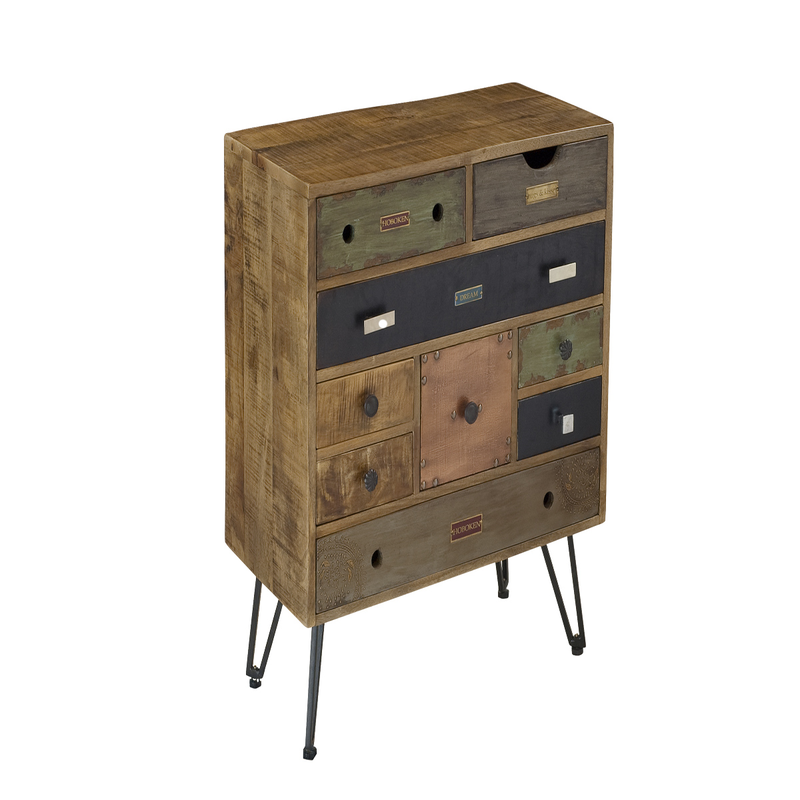 Even the embellishments from the drawer pulls, to accents like nail heads and label holders differentiate.